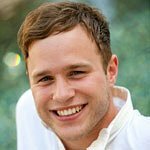 One of the UK’s best-loved pop-stars and TV personalities, Olly Murs, has been revealed as the latest star to perform at the Caudwell Children Butterfly Ball in London later this year. Fresh from his stint as a judge on ITV’s ‘The Voice’, Olly will entertain guests at the annual charity gala being held on June 14th at the Grosvenor House Hotel in Mayfair. The event is renowned for its star-studded guest-list and seven-figure fundraising. The annual event regularly raises in excess of £1.5million to provide life-changing practical and emotional support for disabled children through the charity, Caudwell Children. “I’m thrilled to be asked to perform at the Butterfly Ball and be a part of an event that does so much to help disabled children. The performance will be a celebration of all the good that will be done with the money raised on the night.” said Olly. Since his first appearance on 2009’s X-Factor, Olly has sung and danced his way into the hearts of the UK public and become one of the country’s best-selling solo artists as well as a regular presenter on prime time TV. With a string of chart-topping albums and singles, including the catchy ‘Heart Skips A Beat’ featuring Rizzle Kicks, and the global hit, ‘Troublemaker’ with Flo Rida; Olly has rarely been out of the charts since he exploded onto the scene nine years ago. 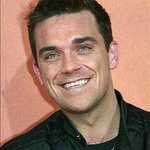 He is also writing and recording his 6th studio album due for release later in the year. In performing at The Caudwell Children Butterfly Ball Olly follows a long list of legendary performers including Sir Elton John, Lionel Richie, Kylie Minogue, Paloma Faith and Sir Rod Stewart. Hosting the glamorous event will be fellow entertainer and Caudwell Children Ambassador, Peter Andre. The event will also feature Heather Small. Caudwell Children Chief Executive, Trudi Beswick, said: "Having wonderful entertainers like Olly perform at The Butterfly Ball is a brilliant way to say thank you to the amazing people who donate to the charity on the night; because of them we can continue to help disabled children and families all over the UK who desperately need our support. The Butterfly Ball takes place in The Great Room at Grosvenor House Hotel, Park Lane, London on Thursday 14th June 2018. For more information about the Butterfly Ball and Caudwell Children, visit the website here or call 01782 600444.